From the first hours of 27 July 2008, the results of the nationwide university entrance examination were available on the official website of the National Organization for Educational Assessment. However, after entering their personal data on the registration website, most of the Baha’i applicants were confronted with the strange system response, “incomplete file”. At present there are no exact statistics on how many Baha’i applicants have been rejected on the base of “incomplete file”; in light of the imprisonment of the leaders of the Baha’i community in Iran, perhaps such statistics will never become available through official means. 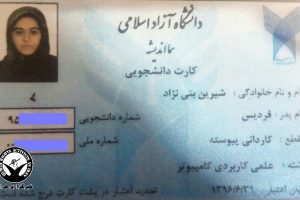 Since university seats are limited in Iran, a nationwide examination is administered to identify the best candidates for higher education. This examination is typically given once a year and is known as the National Entrance Examination [Kunkúr]. The National Organization for Educational Assessment and Evaluation is a division of Iran’s Ministry of Science, Research and Technology. This organization is responsible fo administering nationwide tests which identify candidates for college entrance. However, “incomplete file” is the most perplexing response to student applicants in place of an actual diploma. This is because if the file of a student is indeed missing some important piece of information such that that he is disqualified from receiving a diploma, then according to the regulations of the Organization for Assessment that student is disbarred from participation in the national examination, and under no circumstances would a permit card be issued for him to attend such an entrance exam. Interestingly enough, alleging that the file is incomplete means that Baha’i applicants can no longer appeal to the country’s judiciary for recourse or to outside sources, because under such conditions it is impossible to show that the file has actually been completed. The same situation for the Baha’i students occurred last year as well, but unfortunately repeated and extensive appeals yielded no action and no investigation by the government, the parliament, the judiciary, or any of the oversight agencies. It is understood that the same pattern will be repeated again this year and that once more, a large contingent of the brightest students of Iran will be deprived of higher education – the most natural right of every citizen. 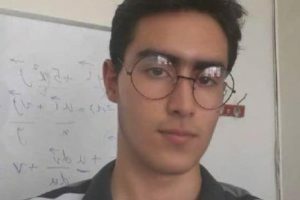 Even if the Baha’i youth of Iran were allowed to participate and pass college entrance examinations, they would still not be immune from the menace of a vengeful ideological government. To illustrate this point, I draw the attention of the esteemed readers to a letter of suffering by Hesam Mithaqi – a student deprived of the right to education. In 1385 Sh  I participated in the nationwide college entrance examination and was accepted in the bachelor program for English translation in the Sana’i Institute of Advanced Studies in Isfahan. Early in the first semester, our professor in the Islamic studies class inquired, “Do we have any religious minorities in the class?” Miss Reza’i [a Baha’i], a Christian student and I declared that we were among the religious minorities. I also added that I intended to minor in Islamic studies. The instructor then asked me to name my religion, but since I knew that mentioning the word “Baha’i” would not be prudent, I avoided a direct answer. However, the instructor insisted and I stated that I followed the Baha’i Faith. After that session, Miss Reza’i and I together went to the instructor and suggested that in view of the pervasive circumstances it would be best for him to avoid a discussion of the Baha’i Faith in the class and university, since it might result in complications for us, and even for him. He accepted and from that date no such discussion took place in our sessions. At the conclusion of the second semester and after we had received our transcripts, we were notified on 14/4/86 [5 July 2007] that back in Farvardin [March 2007] the university had received official instructions for our expulsion. In response, the school authorities had written to their superiors explaining their unwillingness to expel any student in the middle of a semester, and requesting a reconsideration of the original decision. However, they had been confronted with a hostile response. Consequently, they decided to send us along with a letter to the Organization for Assessment so they could determine our status. After we had gone to the aforesaid Organization and some time had passed, we were told to refer back to the university as their decision would be communicated to the school. However, we stated, “We must return to school with your decision.” We were then delivered into the custody of the Organization and told to refer to the Organization’s office in Tehran, on Karim-Khan Zand Avenue, for a response. Also, the reference number of a letter was given to us (86/4/18, m/1/270) and we were informed that the letter had already been sent to the Organization for Assessment’s office in Tehran. When we visited the Organization’s office in Tehran, we met with Dr. Nurbakhsh. He said that he had worked diligently to secure the rights of the Baha’is and was laboring to secure an avenue for our university attendance. He also suggested that we should not approach various governmental offices as it would bear no fruit. After visiting the above-mentioned office, we went to the Science Ministry and there learned that a letter sent by our university to that Ministry had gone missing! However, one of the officials indicated that the said letter was with Dr. Muslemi. When we approached Dr. Muslemi, he denied all knowledge and said that he had sent the file to the Organization for Assessment. At the same time, I wrote a letter to Isfahan’s representative to the Islamic Parliament, Dr. Kamran, although his secretary would not give me the letter’s reference number. I also wrote via The letters given to the students are numbered: 86/391/4, 86/390/4 and 86/390/4. email to many other members of the Parliament and the office of the President, all of which went unanswered. To this day, I continue visiting the offices of the Science Ministry, the Organization for Assessment, the Agency for Revolutionary Education, and offices of representatives of the Parliament and other governmental agencies. However, no logical response has been given to this date, and everyone pretends that they are uninvolved and refers me to other offices. Now that two semesters have passed since my dismissal from the university, I have not received an official letter of expulsion. In accordance with the regulations of the Science Ministry, if a student fails to attend two semesters his expulsion is issued automatically. Therefore, I am now considered an expelled student. Also, I have tried to receive exemption from military service and – unbelievably! – they have me recorded as a student in the Sana’i Institute of Advanced Studies. Because of my exemption as a “student”, therefore they have refused to grant me a general exemption. It is bizarre that Baha’i youth are barred from attending universities, but must enlist for military service. Article 30 of the Islamic Republic’s constitution requires the government to provide all citizens with free education up to secondary school, and to expand free higher education to the extent required by the country for attaining self- sufficiency. However, after the Islamic Revolution we have persistently witnessed that nearly all Baha’i students have been expelled from Iran’s institutions of higher learning because of their religion, and none were permitted to attend universities. For the entire period of 1980-2004, no Baha’i was admitted to any institution of higher education in Iran. Since 2004, a handful of Baha’is have gained admittance. In order to educate its youth, the Baha’i community of Iran has formed its own university, where a worldwide network of instructors provide lectures through electronic and internet means. 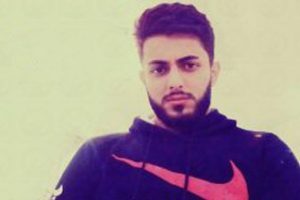 This university has now been forced to suspend its operations as well at the demand of authorities in Tehran. as incompleteness of files, and those who were able to enroll were mostly expelled on the basis that they were Baha’is. Separate from these difficulties that the Baha’i youth of Iran have been confronting, this summer has witnessed many diverse incidents of persecutions visited upon the Baha’i communities in many cities of Iran. Moreover, the leadership of the Baha’i community was seized [on 14 May 2008] and to this date remains in Evin prison. These seven Baha’is are: Mahvash Sabet; Fariba Kamalabadi; Afif Naeimi; Saeid Rezaie; Vahid Tizfahm; Jamaloddin Khanjani; and Behrouz Tavakkoli. These individuals are incarcerated in section 209, administered by the Security and Intelligence Ministry. For the first time, on 20 June 2008 they were allowed a brief contact with their families; in more recent days they have been permitted a second brief contact with their loved ones. However, Behrouz Tavakkoli has been denied all communications with the outside world. According to reports, the period of their imprisonment has been renewed, and they continue to languish in solitary confinement – despite the fact that Jamaloddin Khanjani and Behrouz Tavakkoli suffer from various ailments, including digestive and skin conditions. The congregation of Baha’ism not having the heavenly book like those of Jews, Christians, and Zoroastrians in the constitution [of the Islamic republic of Iran], are not considered to be among the religious minorities. However, since they are citizens of this country, they have the rights of citizens and the right to live in this country. Furthermore, they must benefit from Islamic compassion, which is stressed in Quran and by the religious authorities. Article 23: The investigation of an individual’s beliefs is forbidden, and no one may be molested or taken to task simply for holding a certain belief. Article 28: (1) Everyone has the right to choose any occupation he wishes, if it is not contrary to Islam and the public interests, and does not infringe the rights of others. (2) The government has the duty, with due consideration of the need of society for different kinds of work, to provide every citizen with the opportunity to work, and to create equal conditions for obtaining it. Article 30: The government must provide all citizens with free education up to secondary school, and must expand free higher education to the extent required by the country for attaining self-sufficiency. • The appearance of this religion after Islam, as the last divine religion, which according to their belief, is sent by Almighty God for the salvation of the world of humanity. • The close proximity of certain teachings of the Baha’i Faith to key beliefs of the governmental authorities, such as the phenomenon of the Lord of the Age, or the doctrine of Mahdaviyat, or eschatological views. The authorities firmly believe that these issues are the foremost foundation of the divine legitimacy of the Islamic regime, while simultaneously they are also the largest differences between this sect (namely, the Shiites) and all other sects of Islam. The Baha’is believe that the Qa’im of the House of Muhammad was manifested in 1844 and has left behind a copious body of writings. Further, the Qa’im prophesized the imminent appearance of another Person and that Person is Baha’u’llah, the founder of the Baha’i Faith. Also, the Baha’is believe that the teachings and exhortations of the Baha’i Faith are consistent with the needs of the present age of humanity, the current state of maturity and development of the world, and the requirements of the people over the course of the next several centuries, and that it is this religion that will prepare mankind for the next stage of its global civilization. This belief of Baha’is from the perspective of Shi‘i law is erroneous. This belief is also the principle foundation for the pressure on the followers of the Islam teaches that at the end of time, the Promised Mahdi will appear and will right all wrongs. The Baha’is believe that this promise was fulfilled in the Person of Baha’u’llah, the Founder of their religion. Qa’im means the One Who will arise. For the Muslims He represents the Promised One, and for the Shi‘is He also represents the Twelfth Imam, Who went into hiding in 873 AD, and is expected to reappear at the “end of time” to bring justice and equity to the world. Baha’i Faith, and has caused the basic human rights and civil liberties of the vast majority of our Baha’i fellow-citizens, despite being native Iranians, to be denied to this day. In accordance with a certain traditional reading of Shi‘i law, in a society in which a majority are Muslim, the people of the Book are not permitted to proselytize their religion. Therefore, in accordance with the same understanding, in such a society discussion of Baha’i beliefs is also forbidden. However, it is imperative to point out that the phenomena of understanding and discernment is personal, and is the sole prerogative of the individual. One person cannot think for another person. Similarly, every belief is personal – and religious convictions are in like manner personal and not societal. Consequently, to attain to faith is a matter of personal conviction – one cannot order a society to accept or reject certain beliefs. Nor can a society be instructed through a public declaration or announcement to renew or change the beliefs of a people. Therefore, it should be evident that when it comes to matters of belief and religious persuasion, the views of a certain leader or a school of thought or even government cannot be overrule the will of individuals in that society. Belief and convictions to any religion is a matter of faith and personal understanding. Therefore, it is illogical to expect that such an acceptance could be left to the judgment of others. It is absurd to think that some other person can act as the agent of belief of all others, and on behalf of other people he would be charged to study, to ponder, to doubt, to question, to meditate, to trust in God and to ask for His confirmations and eventually to come to believe. When it comes to gaining faith, one cannot accept a deputy or surrogate. To recognize and come to faith requires the most personal and deepest exercise of one’s conscience. Each of us, in our own unique way, arrives at this recognition and acceptance which entails the innermost aspects of our spiritual and psychological commitment. How can such a thing be delegated to someone else? From another direction this question can be raised: Are individual Muslims exempt from the duty to study, contemplate and decide on the validity or the falsehood of claims to Qa’imiyyat? Or has God, His traditions, divine teachings and Islamic law left this matter exclusively for the inquiry of religious leaders and the jurists of the age? In accordance with Shi‘i jurisprudence, is every Muslim not duty bound to first consider the claim of every claimant with his own eyes, mind and discernment, and to look for the right signs and evidences, and only afterwards, in case it is needed, to consult with ecclesiastics and ask for their views? Is each and every Muslim not obligated to carefully consider, read and assess with his own mind the writings of such claimants to Qa’imiyyat, and only then, if necessary, to consult with others, perhaps even ranking clerics? Based on what principle or judgment should Muslims make their beliefs, or disbeliefs, the same, and dependent on the views of religious clerics and mullahs? Every Muslim has the spiritual and religious duty to fully investigate the truth or the falsehood of the claim to Qa’imiyyat by himself. The right to come to a conclusion regarding the genuineness or fabrication of a claim to the Qa’imiyyat by its various claimants belongs to all people. Divine tradition has always been that the Messengers of God have addressed each and every person directly, and not merely the religious clerics of the age (such as the absurd claim of the Islamic Republic to have exclusive contact with the Lord of the Age). Therefore, the acceptance or rejection of the claim to Qa’imiyyat is a matter for all people and not the sole domain of the‘ulama. The divine message is for all and not just for a few. Whether to accept or reject the Baha’i Faith and all its exhortations and teachings, like any other spiritual doctrine, requires deep contemplation, study and research. For what reason then is the Islamic Republic, having thorough command over all financial and media resources of the nation, and maintaining belief and insistence on its own divine and absolutely unquestioned mandate and ideology (which is a belief in Islam through the Rule of the Religious Jurists) and its persistent injection of this belief into all elements of the nation, so afraid of any contact between the people and not only the Baha’is but every religious minority group? Is it not the case that the government believes that Islam (its version of the Rule of the Religious Jurists) is the most complete, unadulterated and precious religious thought, and no other religion enshrines the same truth and validity? Therefore, why are the authorities so afraid of the followers of other religions, particularly the Baha’is? Is it not true that a Muslim should be able to ask his questions from others in complete liberty, and that others are also enjoined to have the freedom to share and expound without any restriction or constraint their beliefs and religious convictions? Given this fact, then the Baha’is in all Islamic societies must be given complete and unhindered freedom of expression.